The RVH2S K-Frame Revolver Belt Holster by 1791 Gunleather supports K-frame sized revolvers like the Smith & Wesson M&P Bodyguard. From “snub-nose” revolvers to a 3-inch barrel, our leather holsters fit popular K-frame revolvers like a glove. Show your prized firearm some love with the best natural retention and most comfortable all-day carry the holster industry has to offer. If you’re tired of having a drawer full of holsters you never use, buy the RVH2 and toss all the rest. 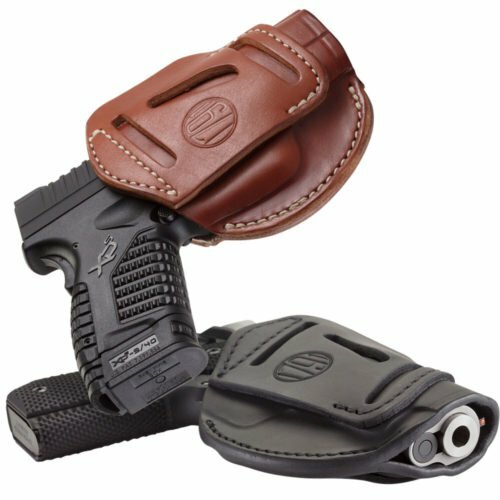 With a standard size and your choice of strong side and color, you can use your holster for multiple K-frames. The K-frame revolver represents the first standardized frame size in the 20th Century, developed by Smith & Wesson. The balance of power and portability made it the standard American police sidearm of choice for nearly 100 years. The accuracy, concealability, and reliability make k-frame revolvers a top selection for personal defense handgun owners as well. Retention – Some holsters use thumb breaks, thumb loops, or trigger guard locks to hold the firearm in place while you’re moving around. 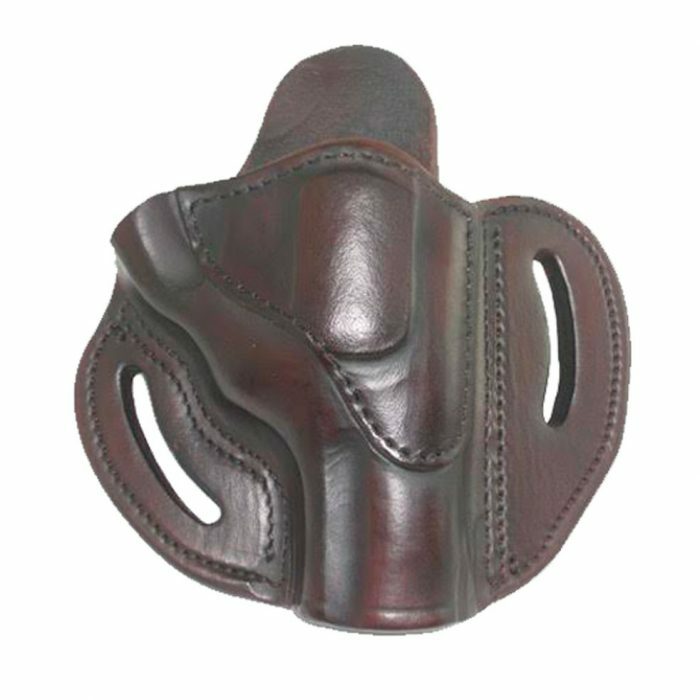 Unless you’re doing acrobatics, a sturdy leather holster with double-reinforced stitching should hold your revolver firmly in place. Comfort – You can carry IWB, but you may feel the revolver pressing up directly against your hip bone. Most people find OWB holstering on a belt to be the most comfortable method of carrying, particularly when wearing a firearm for an extended amount of time. The wide, curved loops on our holster allow you to have the high ride you need to conceal your weapon comfortably. Durability – All 1791 Gunleather revolver holsters are built-to-last with a Lifetime Warranty on craftsmanship. Decades from now, we want you to still wear your original holster from us with pride. 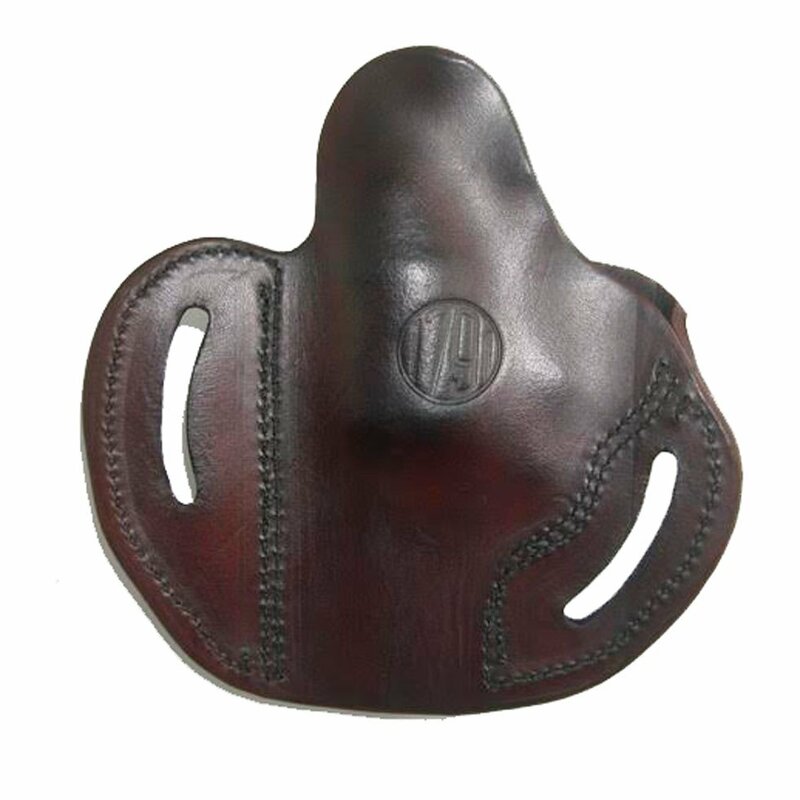 We’re a relatively young company, but our leather revolver holsters offer excellent quality at an unbeatable price. 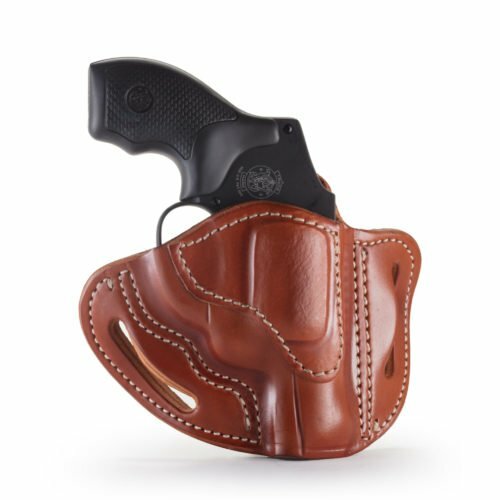 Each custom-molded revolver holster is hand-stitched out of 100% Certified American heavy native steerhide by fourth generation leather artisans. We routinely service law enforcement, military personnel, security guards, veterans, huntsmen, sports shooters, and other patriots to meet their revolver holster needs. 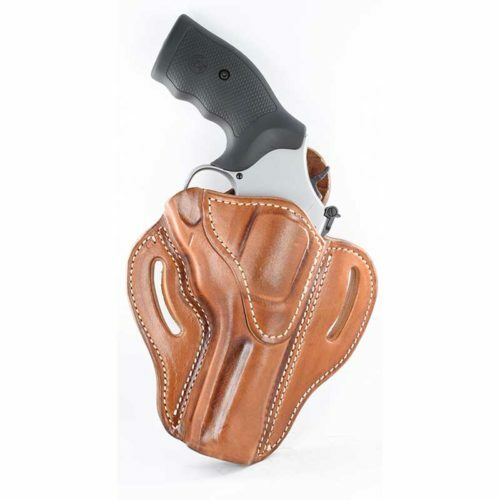 If you’re looking for a k-frame holster for your longer barrel revolvers, we’ve got that too! Contact 1791 Gunleather if you have any questions about finding the right fit for your firearm. Keep in mind it will be a tight fit at first and you will need to wrap your gun in a freezer bag, work it down into the holster a bit, and let it sit for at least a day or two to complete the breaking in process. After that, you should be satisfied with its retention. If not, we offer 100% customer satisfaction and a no-hassle return policy. I’ll start off by saying this holster fits my GP100 4.2in. I’ve had this holster for almost a year now and I wear it all day everyday. I’m too lazy to take the holster off when I go to work so I just take the gun out and leave the holster on. I’m a diesel tech by trade and I’m up and down and under Mack trucks all day. Not one single problem from this holster. It’s made of thick tough leather that has stood up to the punishment I’ve given it.